Marrakech is one of those places that gets under your skin: so it’s not surprising that the people of this glorious city have hit upon the world’s most perfect way of scrubbing you until you sparkle. I first visited the city on a last-minute deal of a holiday, precisely the sort of trip you turn your nose up at as a wanderlust-filled, backpack-toting teenager. I don’t know about you, but I’ve found that after a few years limping through the world of work, you start to appreciate holidays where someone tells you which bus to get on, how many drinks you can have at the bar, what the exchange rate is and so on. It’s a little like holidaying with your parents again, but without the overhead emotional baggage. There really should be a German word for this emotion: the growing feeling experienced during your journey to the airport when you realise you’re running just a wee bit too late for a flight to spend any time faffing with interesting make-up at duty-free. 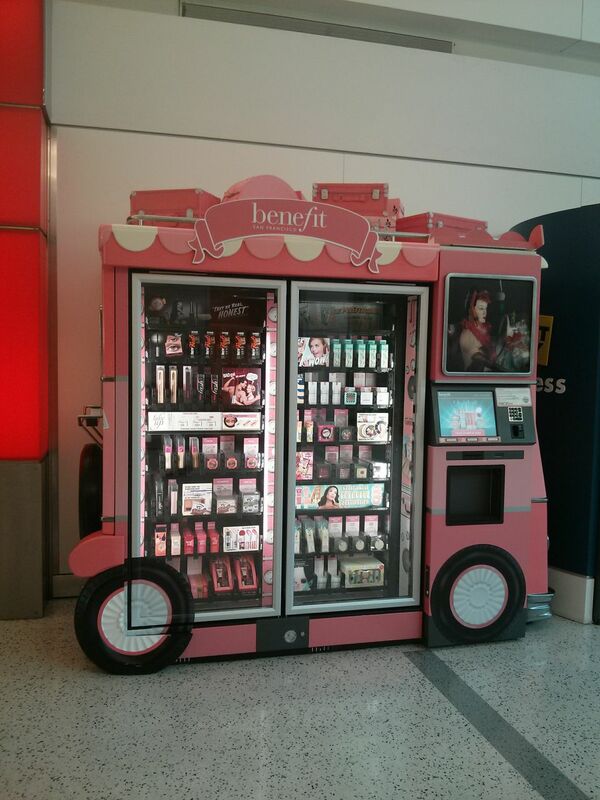 Excitingly, we’ve spotted something over on Reddit that’s set to change all that: it’s a genu-ine Benefit make-up vending machine currently installed at JFK airport! Another compelling reason (like I needed any more) to head to New York as soon as humanly possible.